CHITWAN: The hotels in and around safari park of Nepal in has announced special discount for the newly married couples with the approaching “East Chitwan Fair”. 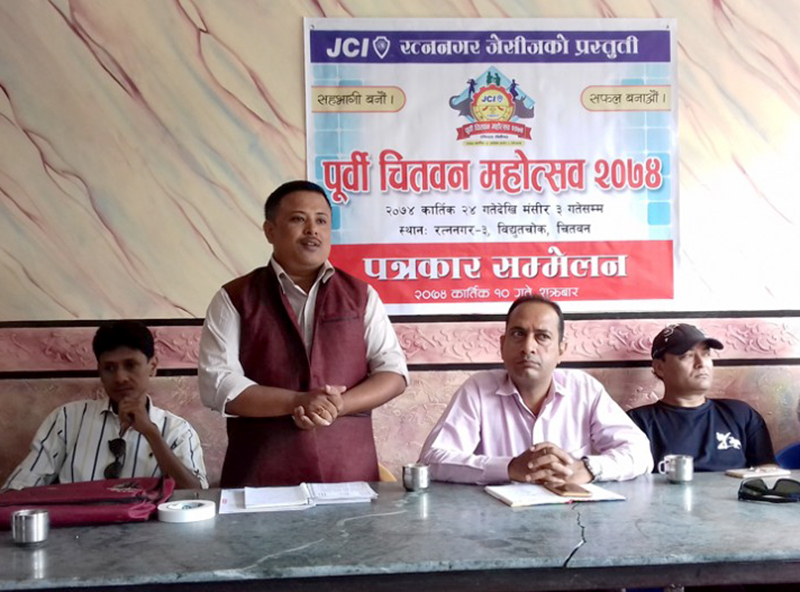 The fest organized by Ratnanagar Jaycees starting from 10th November will showcase materials required at the time of marriage for various cultural and ethnic groups, Coordinator of the Organizing committee Niraj Shrestha informed. The organizers also will confer the couples who have completed their 50 years of marriage with the title “The Idol Couples” along with the newly married couples also will get 40 percent discount on the Honeymoon Packages. The fair also will have a mass weeding function which will remain the center of the attraction and the organizers claim that they have taken this step to stop child marriage and over spending nature for the marriage ceremony. The festival will have about two hundred stalls and the organizers have expected for two hundred thousand footfalls during the fest that will end on 19th of November.